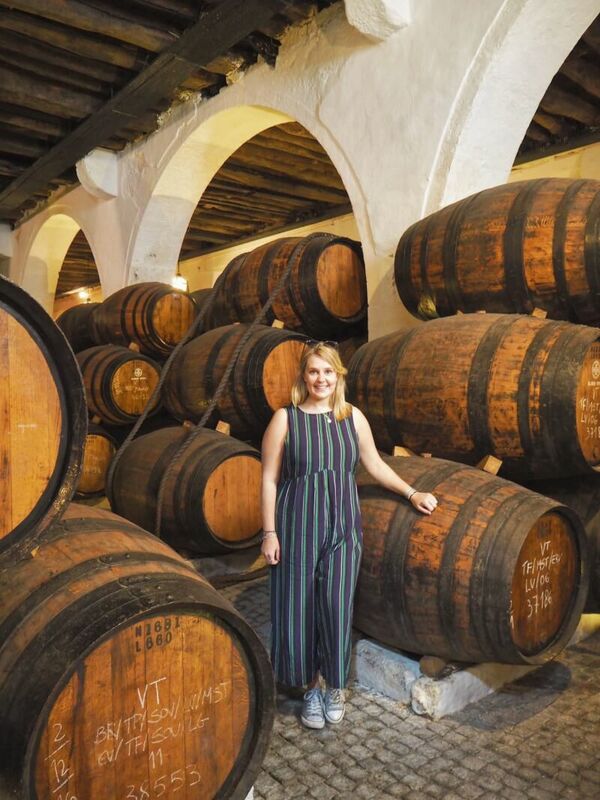 You have to take part in a port wine tour in Porto. Because when in Rome and all that. Except obviously in this case, when in Porto. It was literally the only thing I had on the agenda and the only thing I planned. The rest I worked out on the bus from the airport. But it was definitely one of the highlights of the trip! The amazing guys at Porto Walkers had booked my friend and I onto their afternoon Port wine tour. That morning we had already taken the Porto Walkers Classic Free walking tour, which gives you an excellent highlight of the city. 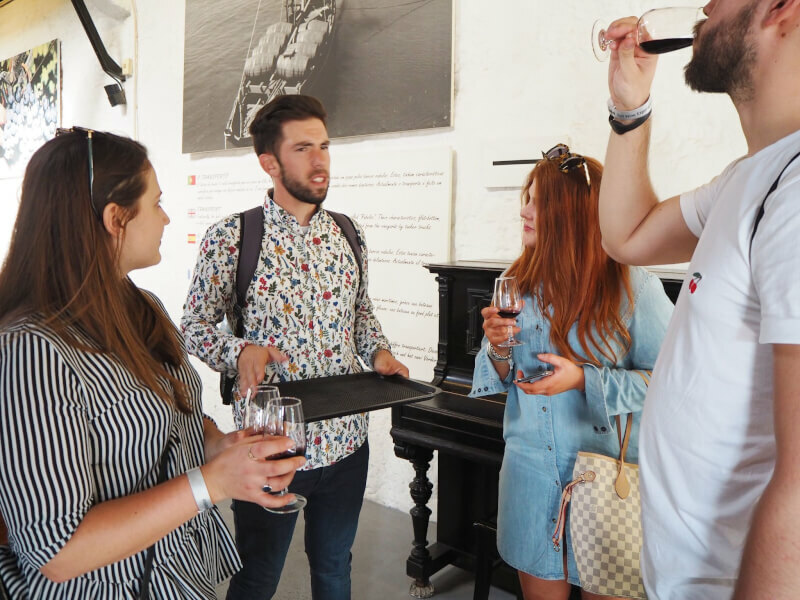 It was such a fantastic morning, so we were delighted when David, our guide, said he was also leading the Port Wine tour in Porto that afternoon. 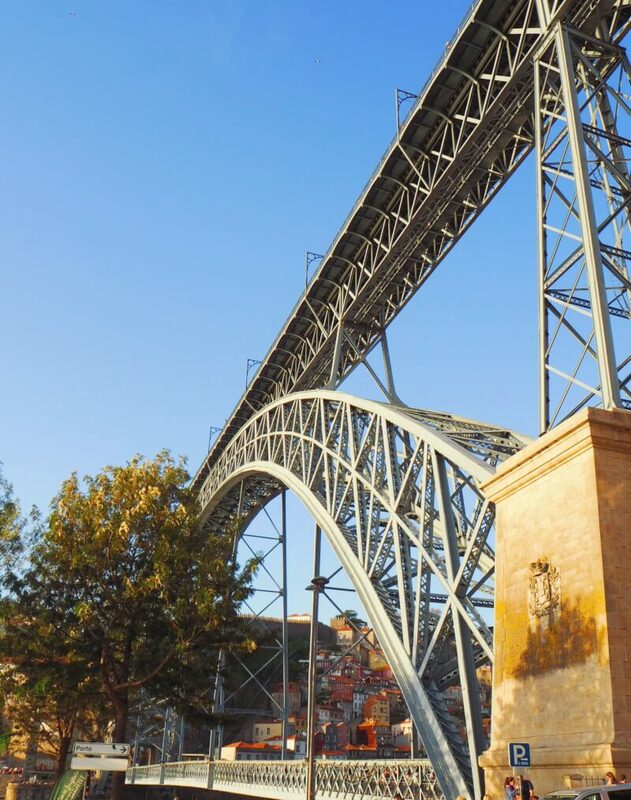 You meet at the entrance of Luis I bridge, Porto side. The guides are really easy to spot, as they are wandering around in their distinctive red tops. As it was a popular afternoon, we were divided into two groups so that each group wasn’t too large. I don’t want to give away all you learn on the Port Wine tour in Porto. Firstly, because it’s more fun to go and learn, listen and see yourself. And secondly because the more port I consumed, the less I seem to remember. Definitely a sign of an EXCELLENT tour. But, the first fact I will divulge that I learnt on the tour was that port is not made in Porto. Nor is it stored in Porto. All the wine halls are actually over the river in Vila Nova Da Gaia. This is due to the fact that this side of the river receives less sun, and is therefore cooler. 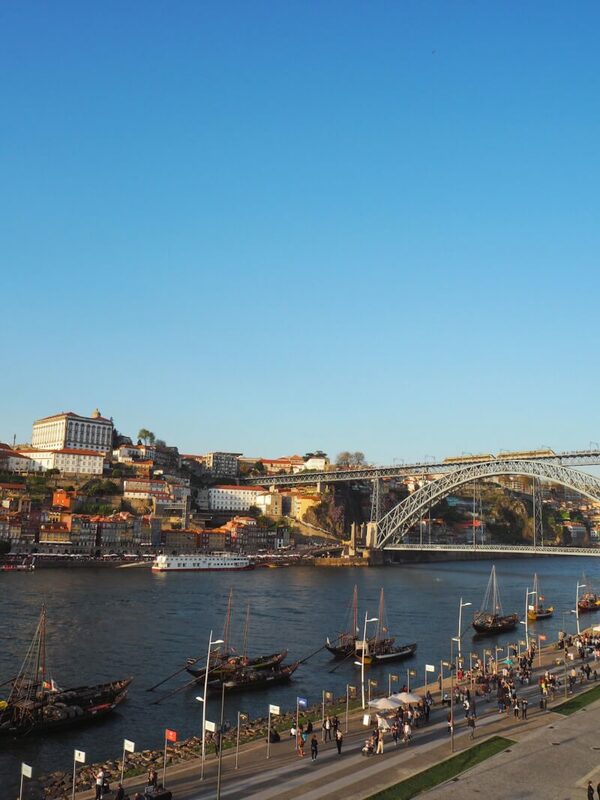 So why is Port wine named after Porto? Simply because it passed out through the tolls on the river Douro, which happen to be Porto owned! A family run wine hall, now in the fourth generation of the family. The was another great thing about the tour, it supported small and traditional venues. The first stop on the tour and we started by learning about cork. I had no idea how short in supply it was! It was really interesting to see the cork in it’s original form. We then went upstairs for our first taste of port on the Port Wine tour in Porto. Definitely a great way to start! If you are going to visit only one Wine Hall, then I think this would be the one! We started off by going upstairs into the museum. You aren’t allowed to take any photos in this part, but these were the old original offices. 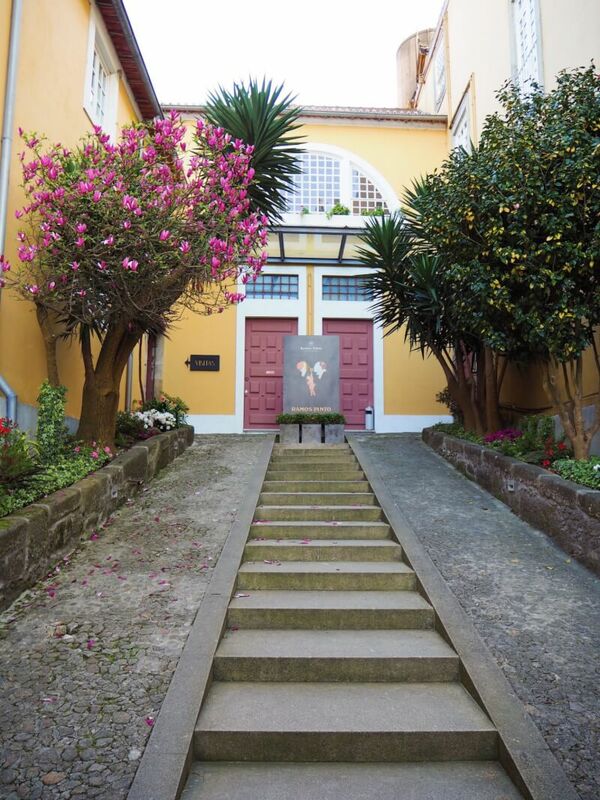 The house was originally founded in 1880 by Adriano Ramos Pinto and has quite the history. David and the tour guide explained and show us various controversial marketing materials used! Afterwards you can then go down into the cellars to see where the Port wine is stored. This is below the level of the river, and so keeps it even cooler. A lot of the barrels are strapped down, in case the river floods! Don’t want any of those barrels floating away! Followed then by the tasting – white first then tawny! This I learnt! At the last stop, we first headed to the rooftop which affords some amazing views over the river. After a quick drink on the rooftop we then headed down the the tasting room, where David lead a fantastic tasting lesson. 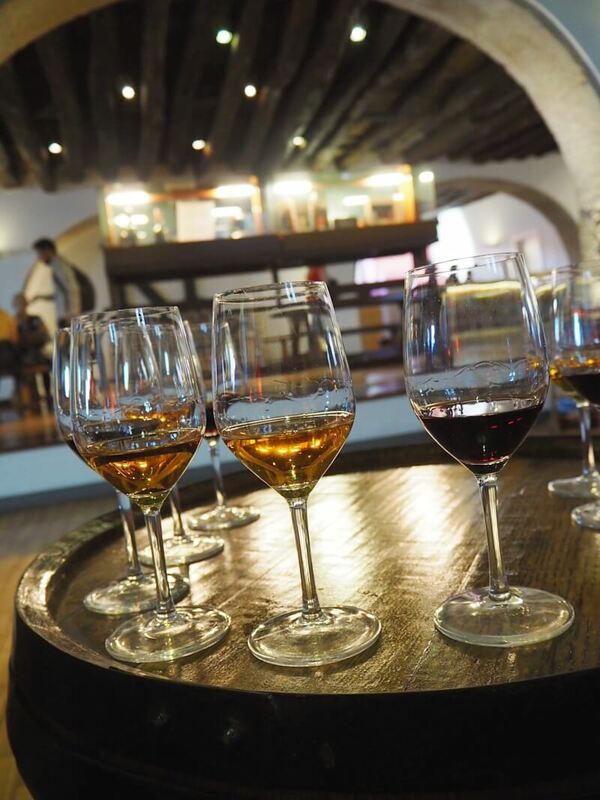 We learnt about how to taste the wine properly, how it’s made and got to try the wines with different flavours. Such a great way to finish the tastings! 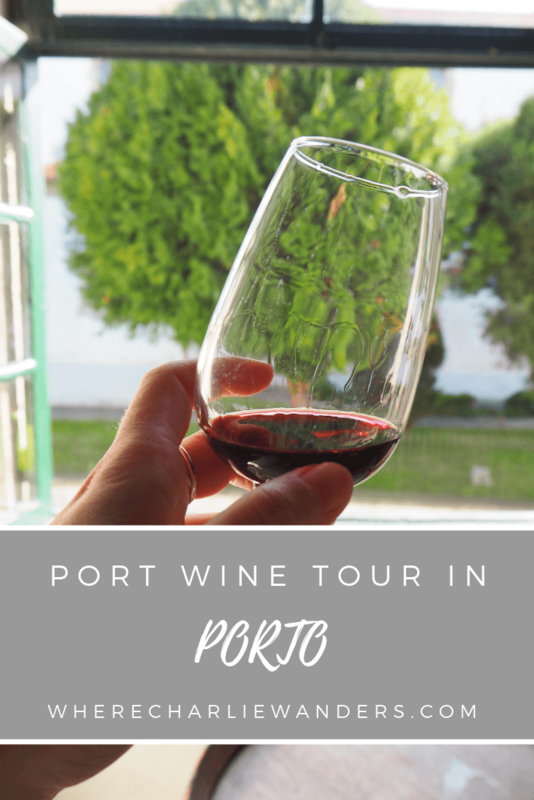 If you want to learnt all about port, this is definitely the tour for you. The amount of knowledge David had on all things port was quite phenomenal. 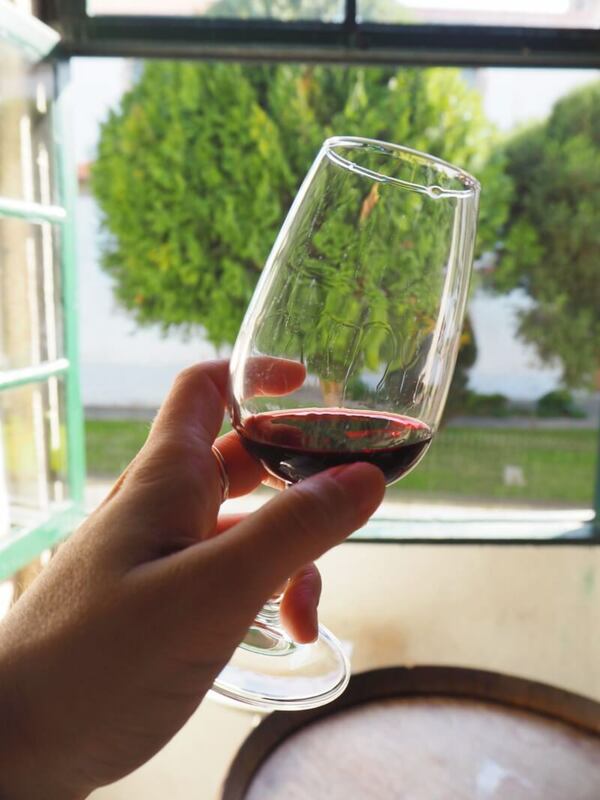 Why take a Port Wine Tour in Porto? The cost of the tour is €27, and the cost to enter one wine lodge is €15. So considering you visit three on the tour, with 7 tastes of Port this is a huge bargain! Plus, the absolute best bit, is the amazing knowledge you get. David knew so much about the wines, history, tastings, and know the answer to quite literally anything we asked. He was incredible and so invaluable. He also had lots of other amazing local recommendations which he pointed out as we walked around. Firstly, he showed us some of the best street art I have seen. 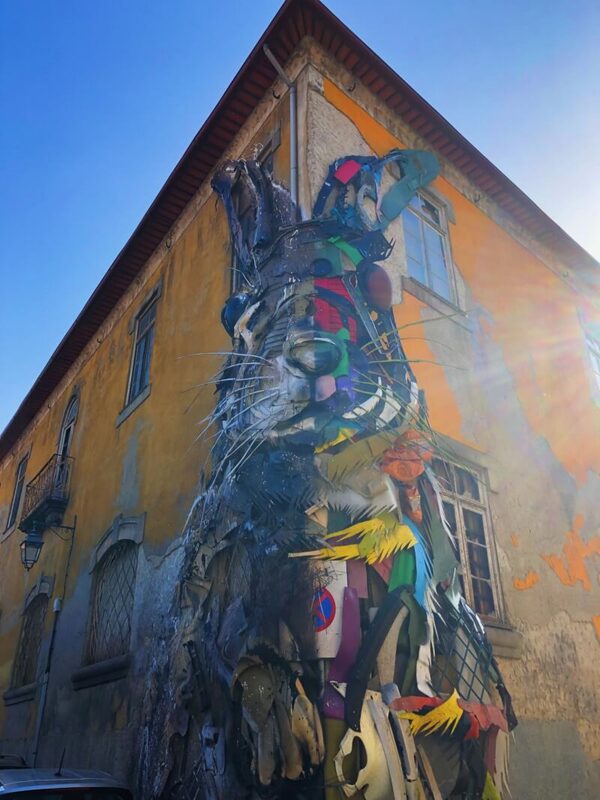 The ‘Half Rabbit’ by Bordalo II which is made by using trash and rubbish he found from around the city. Half is left unpainted, while the other is brightly coloured. We also stopped for a pit stop half way between the wine houses, at the Mercado Beira-Rio. Fairly sure David suggested we had food, but we opted for beer. I wish we had found this food market earlier in our trip, as it definitely seems like a fantastic place for lunch. I would highly recommend popping to peruse all the independent food stalls dotted around the edge. Finally, David also had some recommendations for where to go for dinner and food. All this inside knowledge, in addition to an amazing tour. What a day! 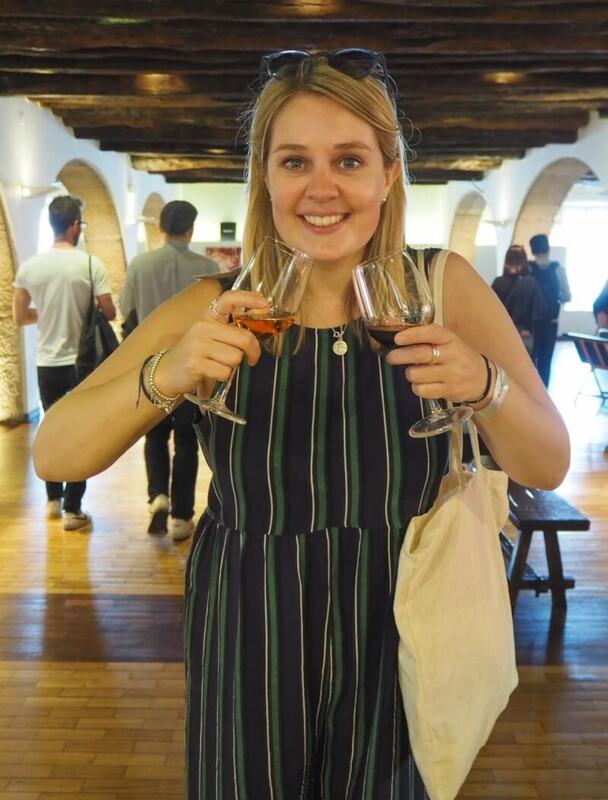 If you’re heading to Porto, this Porto Walkers Port Wine tasting tour needs to be on your list! 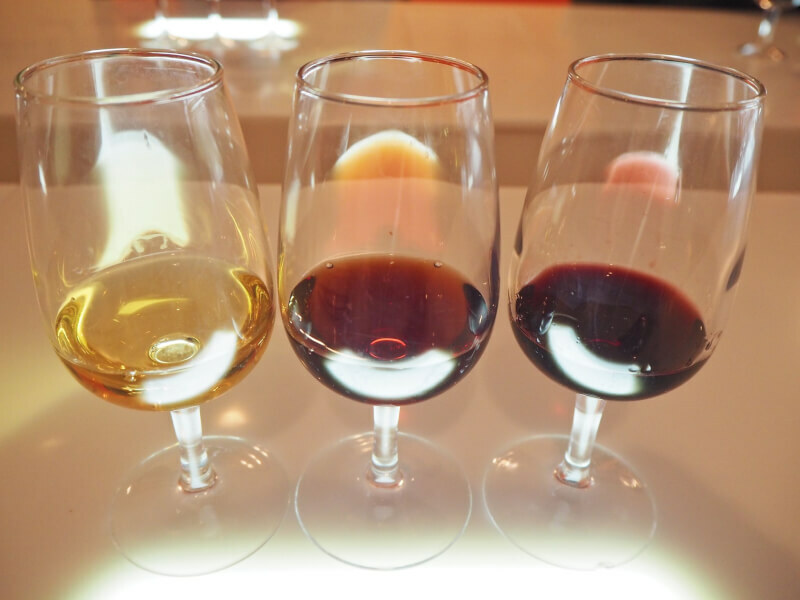 Blogger transparency: my port wine tour was offered to me complimentary by Porto Walkers. But, as always, our thoughts and opinions are 100% my own! If you liked this post, please pin for later! This sounds like so much fun! I’ll have to go for myself if I’m ever in Porto! This sounds so fun! I’ll have to check it out if I ever find myself in Porto! It’s honestly such a great tour. Hope you make it one day!